I didn’t hack or anything. It is just a big bug of facebook. 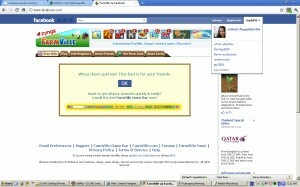 After I enter ‘www.facebook.com’ here is what happen. 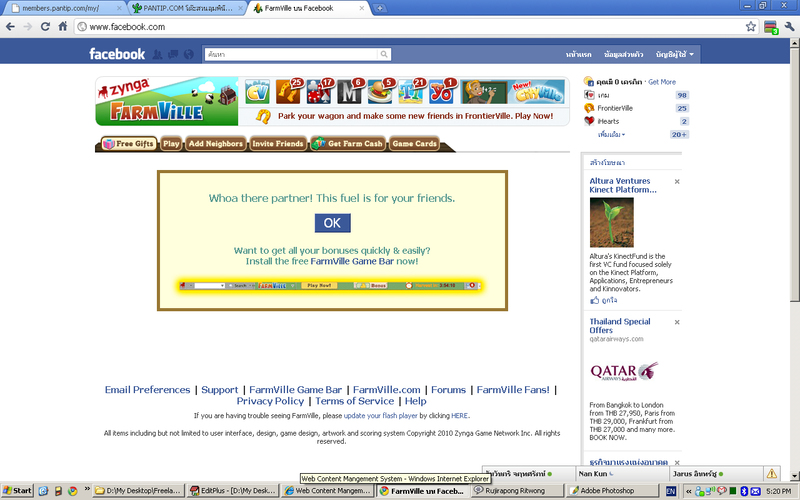 I brought me to farmville page and show that there is some chat windows opened. The language of the menu is Thai and then I found who is the profile owner. 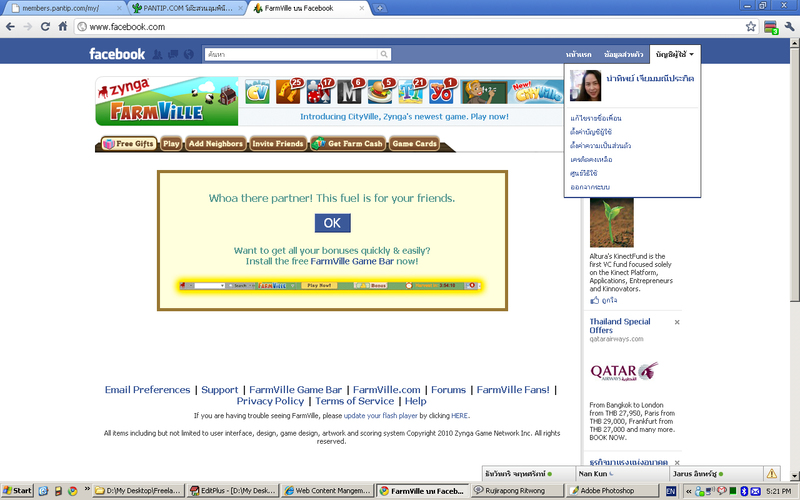 I didn’t play farmville for months and already block application. I also didn’t use Thai menu. After I click the menu (where it is ‘My Account’ in Thai) then it show someone else image…. not me!! Should this be security bug? After I click my profile or edit friend, it brought me to normal pages.